Monica Kulling; Qin Leng, illus. Shane Peacock; Sophie Casson, illus. FOR YEARS there’s been a trend of picture books based on important and/or misunderstood artists: Jackson Pollock, Charlie Parker, Frida Kahlo, Pablo Picasso, and Virginia Woolf are just a few who’ve gotten the kindergarten-lit treatment. The best of these rely less on telegraphing the greatness of the subject’s accomplishments and more on universalizing and humanizing some aspect of their experience. Happily, two new books, both set in France, do exactly that. 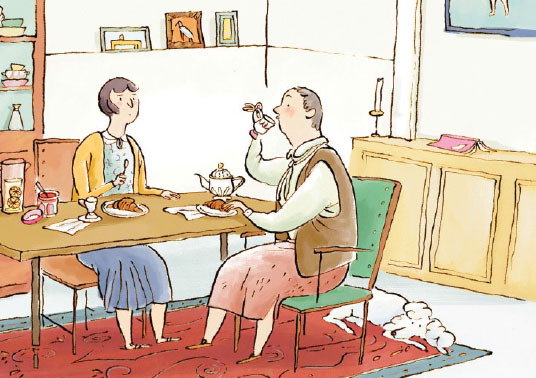 Though her writing and wordplay often had a childlike quality, Gertrude Stein isn’t a name that trips off most kids’ tongues these days (if it ever did). Yet in Happy Birthday, Alice Babette, Monica Kulling shows the American avant-garde writer is fine fodder for a day-in-the-life account. 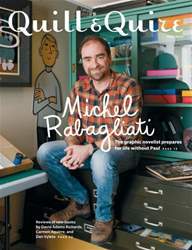 Graphic novelist Michel Rabagliati puts his popular character on the shelf – at least for now. Plus, reviews of new books by David Adams Richards, Carmen Aguirre and Dany Vyleta.